A studded showstopper, Toledo’s gladiator-inspired silhouette gives way to customisable comfort. Four adjustable straps ensure a perfect fit with every wear, while metal accents across the vamp set this shoe apart from the crowd. 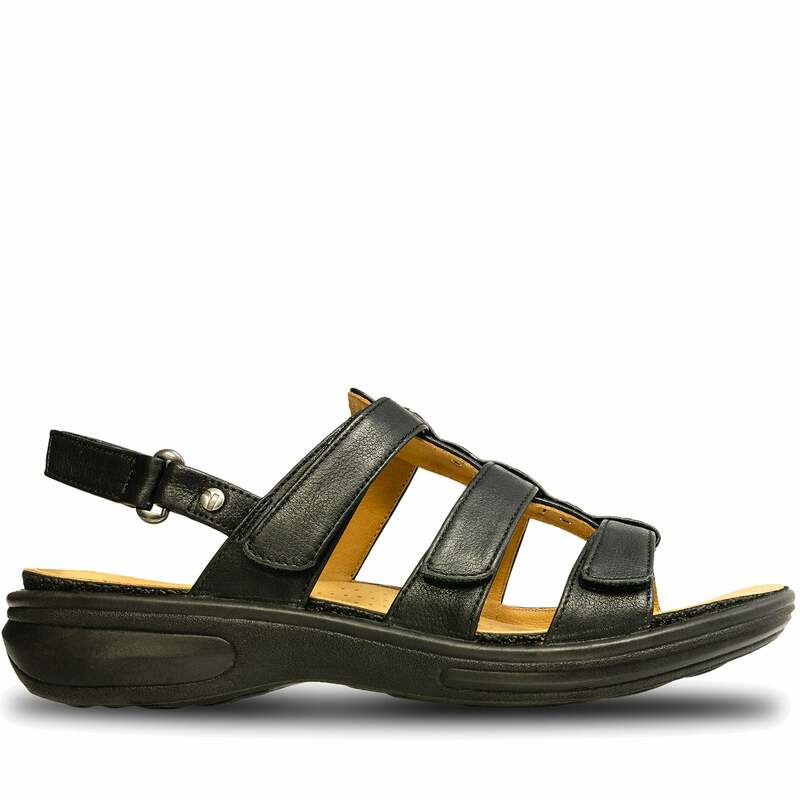 These orthotic friendly sandals are the perfect shoes for women. - Beautiful stud accents, combined with 4 points of adjustability, to personalize the fit. - Micro fibre comfort insert, treated with anti microbial, to reduce odor and promote good foot health. - Our deep comfort insert can be removed, to accomodate custom orthotics. - Matching strap extensions included.